DWSR483EB0WW Need Manual For Re-assembly! This is a GE Dryer. Customer brought me this dryer with the left side removed. And parts missing. Customer replaced dryer motor when dryer would not start. They dont know if the motor is wired correctly. OK I got it back together. Does any one have a wiring digram that shows which color goes to which post on the motor. Ok The wiring that was sent are not all the same colors. 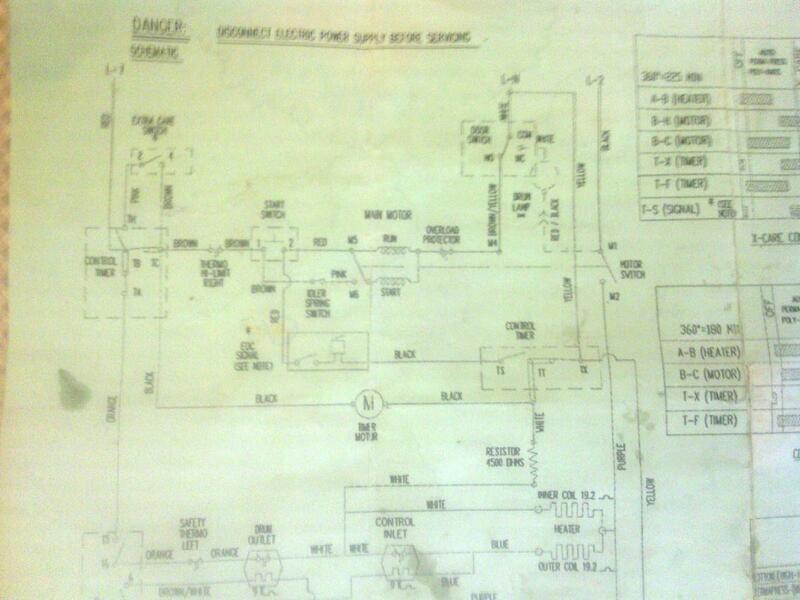 I took pics of the way its hooked up now and a pic of the wiring diagram. They are attached. So here is what it is wired like now. Can you help from this. I hope so. WE17X10010. Repair Clinic said that it comes with instructions how to put in my customer says it did not come with any instrctions. Does anyone have thst sheet, or have a suggestin on how I can get it? many people with the same problem ..
that Motor (from the kit) is only used on a few GE models ..
Where is M1, M2, etc. in relation to ground? no motor busses when i plug in but does not start. This motor wiring is different then old motor, so I guess the tech sheet is usless. is the above true ? Do you have any pictures or notes about the connections on your "old" Motor ?
. . . .wires of the Motor . . Blue . . . . .Orange . . . . .Black . are the Motor terminals numbered ? Just the tech sheet. I maybe able to get the Instruction Sheet for the new motor from my local parts company. But that wont be till monday. This motor is wired differently from the old motor. Yes the motor terminals are numbered. 1 at far right on picture through 9. This site shows a different combination for M1, M2 etc. but when I hook it up that way the motor and element come on as soon as you put it on any cycle. can you post a picture of your "new" Motor that shows the terminal numbers ? Tried latest configuration you sent me still motor just buzzing as soon as I pluged it in. If you goto the managemylife post link'd above you can see the numbering of terminal posts, click on the picture and scroll down to the bottom of the pic. Also if I hook it up according to the managemylife page the motor and heater come on as soon as you put it on any cycle. I dont have a blue so I put the purple on that terminal. Don't worry about them for now.. This is what I got from another site. But I dont see the same colors of wires. HELP. do you have pictures (or notes) of your "old" Motor (Switch) before the wires were removed ? Other than no red the above what was last posted is correct. No notes or picks of previous motor wiring but the tech sheet I posted shows the original. 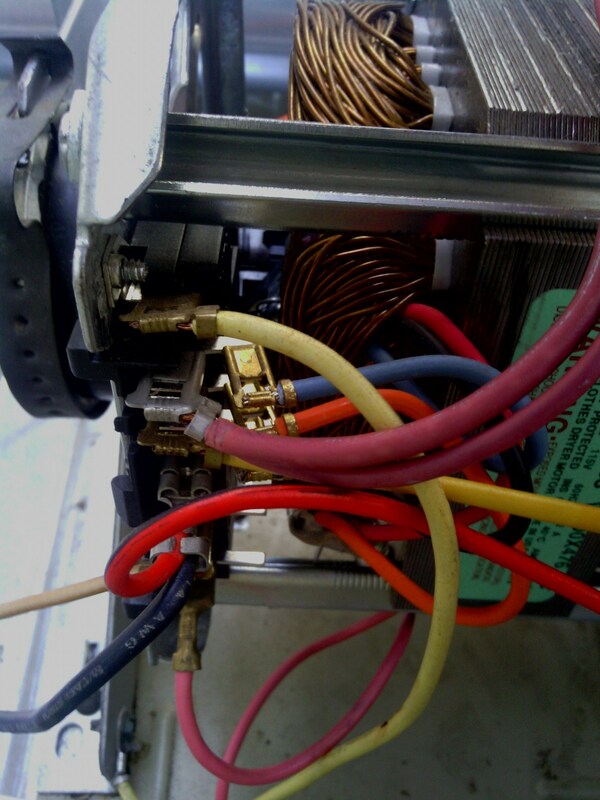 I see some Red wires in the pictrure of your Motor you posted ..
What color wires are they ? black to terminal block/ (a red wire with a black stripecomes off the black wire connector goes to I think the door light. It goes inside door frame. 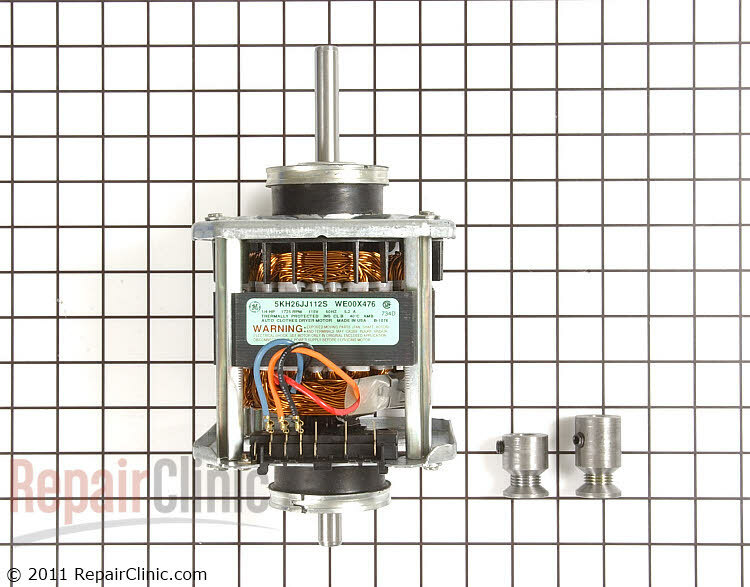 Did you look at theTech sheet I posted about how to wire the newer style motor?